We’re back with another giveaway! 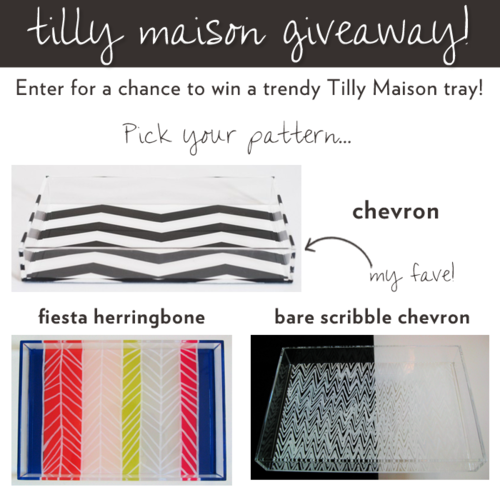 Enter to win a custom Tilly Maison tray in the pattern of your choice. These pretty trays are excellent for organizing anything from jewelry to cosmetics, and add a little something extra to your vanity or entryway table. Click here to see how I’ve styled my tray! Follow the simple instructions below to enter the giveaway! Deadline for entries is Tuesday, October 11th at 5pm CST.